Germany's most prolific title designer, Darius Ghanai has designed over 50 title sequences and posters for critically acclaimed European films such as Good Bye Lenin!, Perfume and Palermo Shooting. On a crispy sunny morning in May 2010, we visited the friendly and soft-spoken designer in his former studio located in Berlin's Mitte district, close to where Good Bye Lenin! was shot. We talked for hours about title design, surrounded by books, art, movie billboards, and a lifesize cardboard Elvis. Darius offers some great perspectives on title design and on the differences between the European and the American title design practice. The way European movies are produced and marketed differs significantly from how the American studio system works. Designers tend to have more creative control over more aspects of a film's promotion. It is not uncommon that a designer creates not just the titles, but also the posters and sometimes even a trailer, allowing them to create one consistent visual identity across all media. This video interview was first published as part of the Watch the Titles 2 DVD set, which also contains Darius' title sequences for Good Bye Lenin!, Palermo Shooting, and Die Tür (The Door). 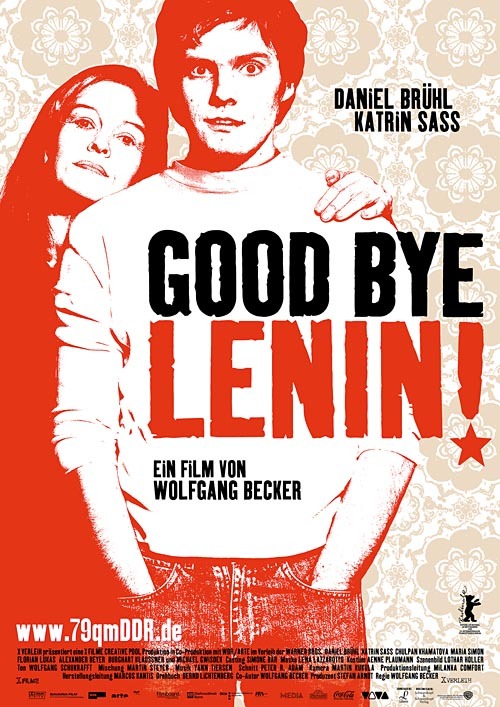 One of Darius Ghanai's most well-known works are the opening titles and poster for the 2003 film Good Bye Lenin! directed by Wolfgang Becker, a beautiful German tragi-comedy that became an international arthouse hit. Highly recommended! 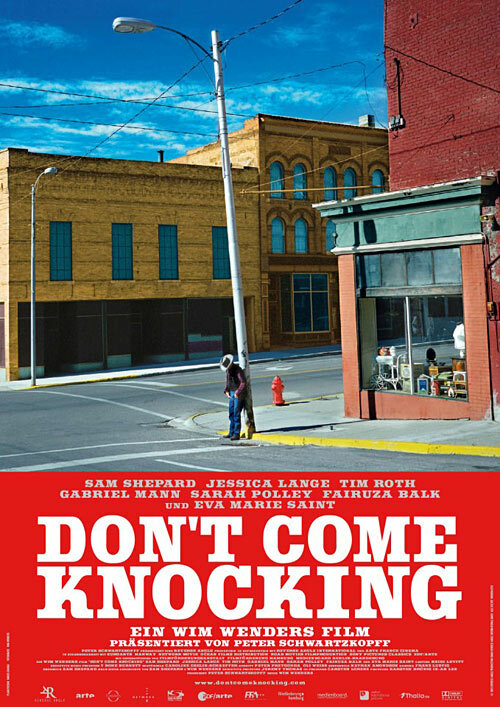 Film poster for Don't Come Knocking by Wim Wenders, designed by Darius Ghanai. Article: Remco Vlaanderen, © Submarine Channel 15 May 2013. 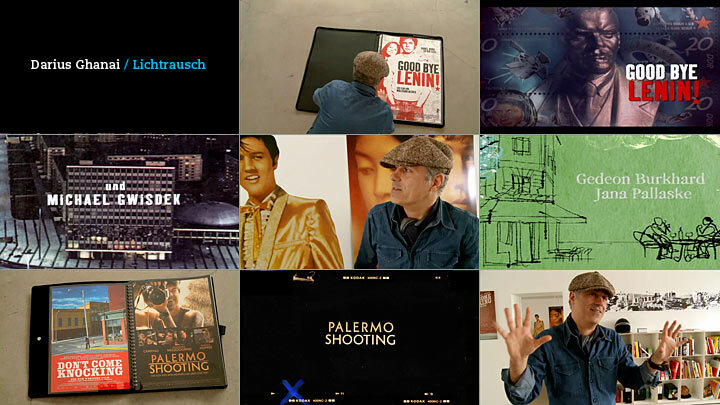 Germany's most prolific title designer, Darius Ghanai has designed over 50 title sequences and posters for critically acclaimed European films such as Good Bye, Lenin!, Perfume and Palermo Shooting. Ghanai worked as a travelling musician in the past. He has been designing titles for European films since the late 1990s. 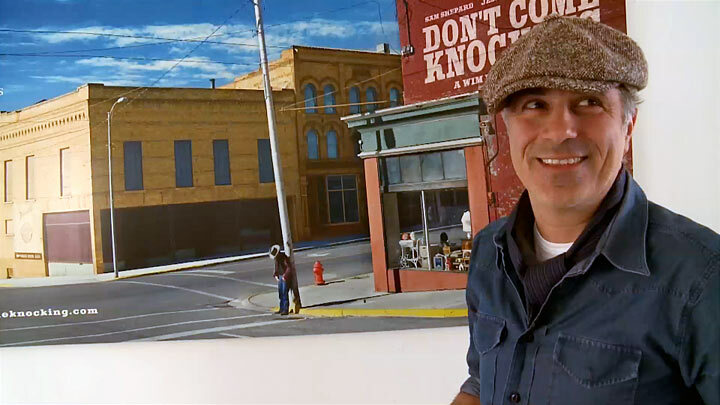 In 2012, Darius received the prestigious German Film Critics Special Award for his work as a title designer. Other notable title sequences by Ghanai include the popular German kids comedy Das Sams (2001), and the animated titles for Rubbeldiekatz (2011). Director Remco Vlaanderen, Camera Geert van de Wetering, Editor Arno Ouwejan, Line producer Willeke Steenbeeke. First published on the Watch the Titles 2 DVD set, made possible with the support of the Mondriaan Foundation, SNS Reaal Fund and the Prins Bernard Cultural Fund.